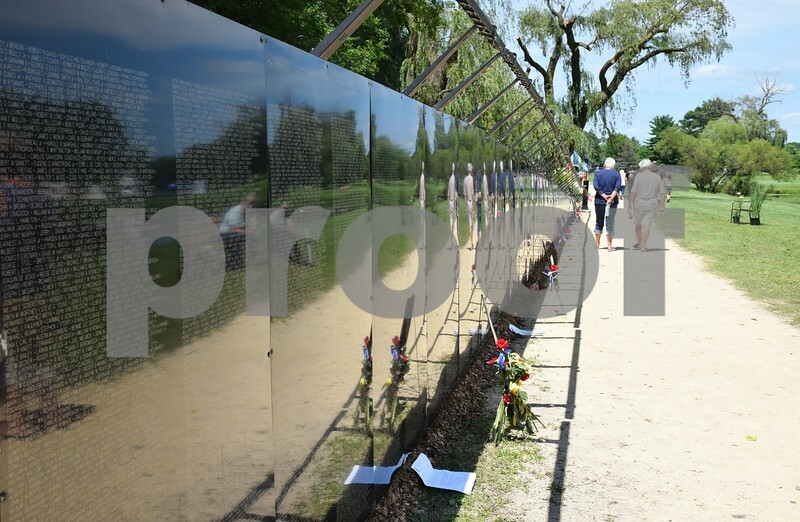 The Wall that Heals, a half-scale granite 250-foot replica of the memorial wall in Washington, D.C, was on display 24 hours a day July 13 through 16 in Sycamore Community Park. The wall was brought to Sycamore through DeKalb County Veterans Tribute, a group working through VietNow. The wall previously visited in 2007 and 1997.